Traditional breeding methods have been used for generations to improve productivity across a range of farm animal species, sometimes to the detriment of animal welfare. Focussing on a single production trait, for example, can have profound negative effects on animal health, robustness, and longevity. However, breeding technologies can also be used to improve animal welfare. The 2019 RSPCA Animal Welfare Seminar explored the use of genetic selection and gene technologies with application in farm animal production and their impact on animal welfare. 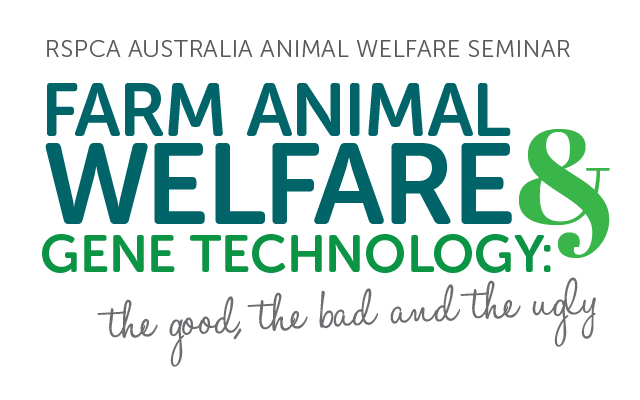 The Seminar aimed to tackle thought-provoking questions around the use of these technologies to improve animal welfare, the ethical dilemmas we face, and whether we even need animals to produce food. RSPCA Australia gratefully acknowledges financial support from the Commonwealth Government for the Animal Welfare Seminar through a grant-in-aid administered by the Department of Finance.